A critical part of quality assurance and safety in food production industries is accurate contaminant inspection. This helps manufacturers stay ahead of their competition, while also ensuring the quality of the food products they distribute. Whether a company chooses to integrate x-ray inspection systems or metal detection technologies along their food production lines, limiting contaminant risk is an essential part of any production. This is where detectable components play a vital role in production. 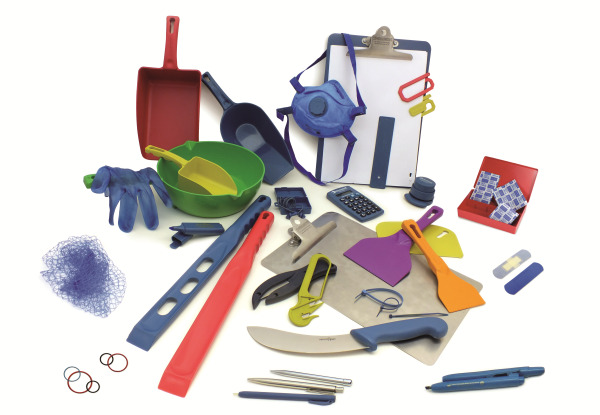 Food safe, detectable components are the ultimate solution to production concerns over everyday material contamination. For businesses in food, beverage and organic goods production, it is a legal requirement to meet, implement and maintain quality assurance practices in accordance with HACCP (Hazard Analysis and Critical Control Point) and other food safety standards such as: BRF, SQF, GFSI, etc. Compliance with these standards is made simple with x-ray and/or metal detection systems, and further improved by integrating 100% detectable components in your production facility. Our detectable components can effectively replace a wide variety of your current tools/components that are involved in production and often wind up contaminating and ruining products. Regular plastics and rubbers typically fly under the inspection radar, and can wind up costing you dearly in later product recalls and lost customers. To dramatically improve your food safety program and to assure your facility’s compliance with food safety programs such as HACCP (Hazard Analysis and Critical Control Point), GFSI, BRC and SQF, consider using detectable components as part of your production environment. Today’s detectable component providers can create unique products to meet your exact needs. Whatever contaminants or production materials pose a risk for contaminating your goods. Virtually any components can be manufactured to be made detectable! 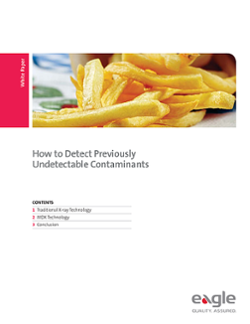 Detectable components virtually eliminate the risks posed by low-key, often overlooked material hazards during production, and can help you assure your compliance with regional health standards and in-house safety requirements while dramatically improving your food safety program. 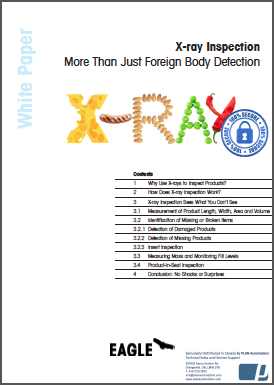 To learn more about the great importance of food quality and safety assurance, or what X-ray and metal detectors components can do for your food production operation, contact us today.